The Dark Crystal, like many fan favorites and cult films, has a fairly rough history. Not appreciated all that much in the wake of Star Wars, the film was either too original or too derivative (depending on which critic you asked). Despite this, love for it has lived on in the people who did see the film in its original release or have discovered it on DVD or through revival screenings. 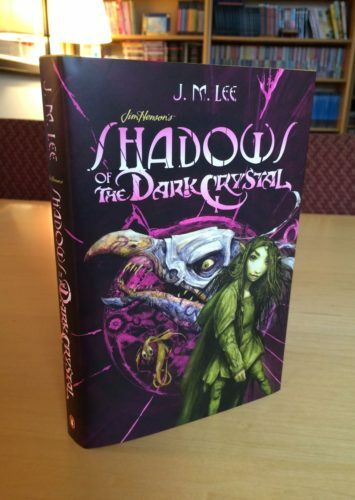 However, over the last couple years, Penguin Random House has brought the world of The Dark Crystal back in a big way, and local author J. M. Lee is one of the lucky artists who are helping bring this story to a new group of readers. 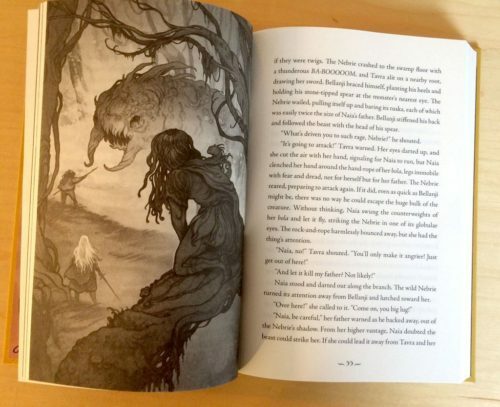 After winning the Author Quest search run by the publisher and having his submitted short story released as part of the resulting collection back in 2014, he has now written the official prequel novel to the film: Shadows of the Dark Crystal. T. A. Wardrope (TCG): Congrats on your Author Quest selection and the upcoming publication of Shadows of the Dark Crystal. I’m excited that The Dark Crystal is being brought back after all these years—I was lucky enough to see it as a child, and I really appreciated how it combined Jim Henson’s work with a fantasy world I could enjoy. The Skeksis actually frightened me . . . maybe still do. Anyway, tells us a little bit about how you got from your winning story, “The Ring of Dreams,” to the final novel Shadows of the Dark Crystal. How much did you change or develop? 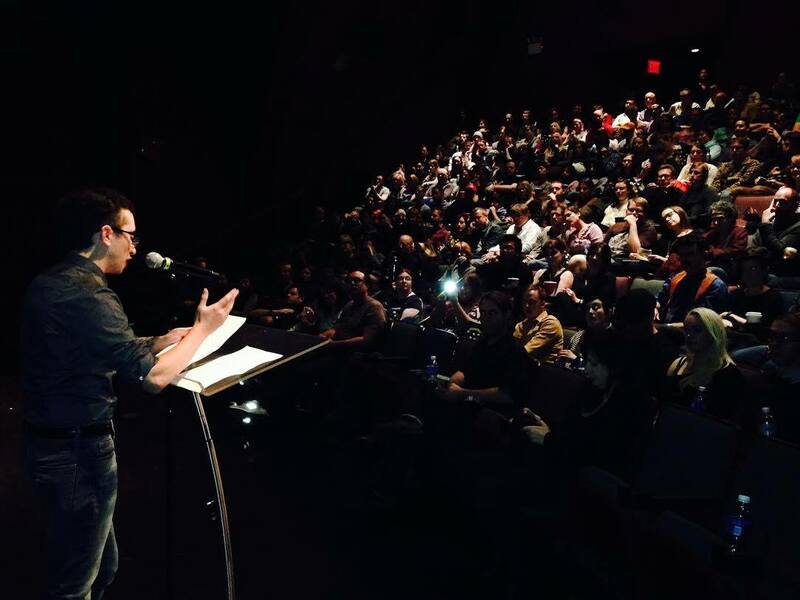 J. M. Lee: Thanks—it’s a been a roller coaster of the best kind. I grew up on The Dark Crystal and Labyrinth, so the chance to be a part of reviving some of the best fantasy stories of my childhood is a huge honor. “The Ring of Dreams” was originally the first four or so chapters of a story that I outlined to climax at a certain point in The Dark Crystal’s mythological history, when the Gelfling clans unite and create the Wall of Destiny by a group dreamfasting. Later, during the revisions process, it was indicated to me that the Wall of Destiny creation should be saved for “later,” so I revised the outline to end at a different point. Since the characters never formed the ring of dreamfasting, we retitled to something more immediate. Aside from the scope of the story line, there were a number of detail changes. The main character, Naia, originally had a different name, and the age of her companion character, Kylan, fluctuated up and down until we found a nice compromise. Stuff like that. But the overall big picture of the world and order of events remained pretty much the same. TCG: Did you have access to any of the archival development material from the original film? Did you have a fairly blank page when it came to developing the new stories? J. M. Lee: Yes, some. In working on fleshing out the culture of the main character race, the Gelfling, I wanted to know more about life on Thra—which, for me, was a huge task. But I did have access to some of Brian Froud’s astronomical concept sketches, not to mention all the other Dark Crystal spinoff publications. There are some great graphic novels, a companion book, and some manga, all which have slightly different interpretations. But really, the main canonical work I had to keep in highest regard was the film. Some of the other details and ideas I approved and worked through with the Hensons, but they really encouraged me to think outside the box first. 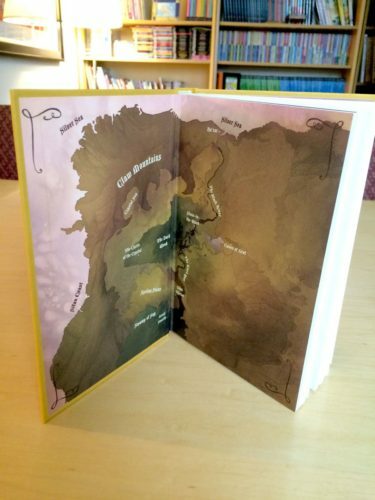 TCG: What else would you like to do in the world of The Dark Crystal that you weren’t able to cover in this novel? J. M. Lee: There was some darker stuff I originally suggested that was cut at the drafting stage. And not necessarily for bad reason, I’ll admit—I understand why we didn’t end up going there. At one point I wanted to look at what might happen if a Gelfling drank another Gelfling’s essence. But I think the world of Thra is actually meant to be more straightforward. Not necessarily that the characters don’t deal with ethical dilemmas, but that their situations are more focused on how they maintain their world and what their place is among other living things . . . not how they might self-destruct with angst or try to screw each other over. Those are stories more about humans, probably. TCG: What’s it like to be part of a project like this? I ask because you are essentially developing a new mythology for a world that is already beloved by many. Geeks can be very unforgiving if things don’t change in a way that works with their own version of the stories. J. M. Lee: It’s a lot of pressure, that’s for sure. But really, The Dark Crystal’s fan community has actually been very welcoming and nothing but excited for the new book. They know that I’ve been working both with the team at Grosset & Dunlap and the Jim Henson Company to make sure that the novels are in line with the film and the world that’s been created. Although I’ve developed a lot of ideas, many of them have also been changed and co-created in the group. Everyone who’s been involved loves The Dark Crystal, and we all want what’s best for it. I mean, inevitably there’s always a fan who is going to be unhappy, but my top priorities in writing this book have been, first, being faithful to the existing mythology, and second, telling a good story that’s both new and nostalgic at the same time. TCG: I’m curious about your writing process for this story. Since you are developing a prequel in some ways, did you extrapolate backwards from the film or did you take a different approach? J. M. Lee: I always outline from the end going backward, and since this is 100 percent a prequel situation, it really helped that I’m used to doing things that way. Without giving too many spoilers—if you haven’t seen the film—basically, the movie starts after a huge, terrible thing has happened. My book is the beginning of the story leading up to the terrible thing that happens, so basically I knew going into it that it was going to be tough to end on a “happily ever after.” That being said, I spent most of my outlining process researching everything I knew had to have happened for the story told in the film to start the way it does. Then I tried to pace out the events so they would make sense for a forward-reading plot. Filling in the characters came last. TCG: You have a degree in linguistics. Does that background offer any benefit for you in fantasy world-building? 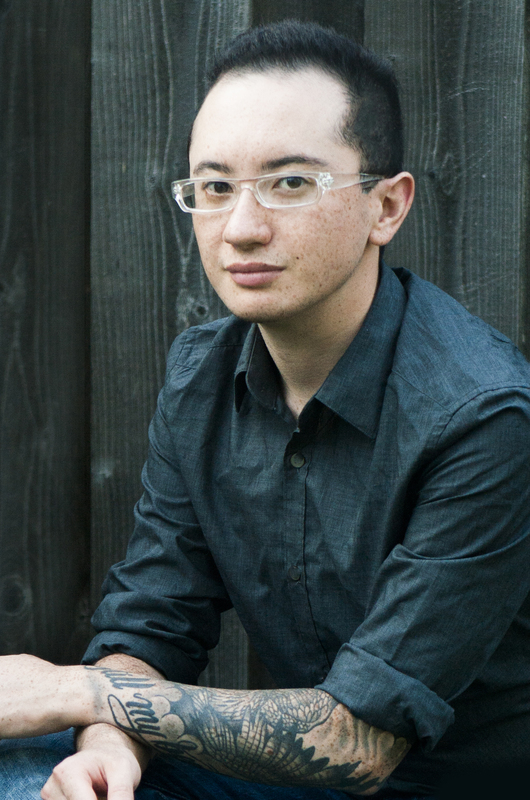 J. M. Lee: I like to think it does, but maybe I’m just more excited about working on fantasy language than others. Most of the foreign languages in the film are actually based on Earth languages, so I did a fair amount of research on that, even though actually very few non-English words surface in the final novel. Many of the Gelfling words I extrapolated based on the words in existing canon, and others I deconstructed in order to re-use in other contexts. I do believe that language says a lot about a culture, and since I’m focusing on illustrating Gelfling culture—at least at this point in time—it was important for me to at least have a sense of what was going on, even if it didn’t end up in the text. TCG: Will there be future Dark Crystal novels? What comes next within this world? J. M. Lee: This is the first in a planned four-book series. We’re still working out the details for the rest of the story, but it’s taking shape. You’ll see plenty of new places and characters, as well as return to old ones from the film. I’m hoping to be able to say more very soon! Shadows of the Dark Crystal #1 is on sale June 28, 2016. Red Balloon Bookshop is hosting a launch party with the author July 8, and our review of the novel is coming soon! You can find J. M. Lee at joeyverse.com, as @joeyverse on Twitter, and on Facebook.